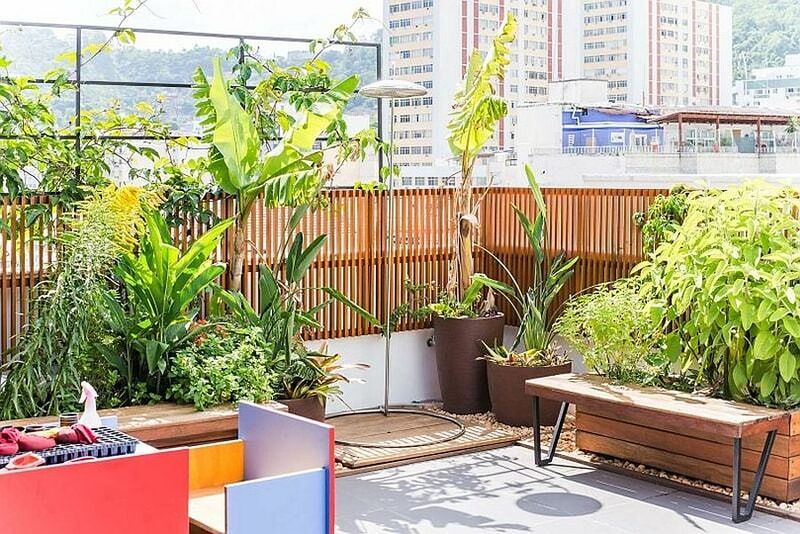 When you live in a city as vibrant and beautiful as Rio, making most of the views on offer and bringing the outdoors inside is a luxury that you simply do not want to miss on. 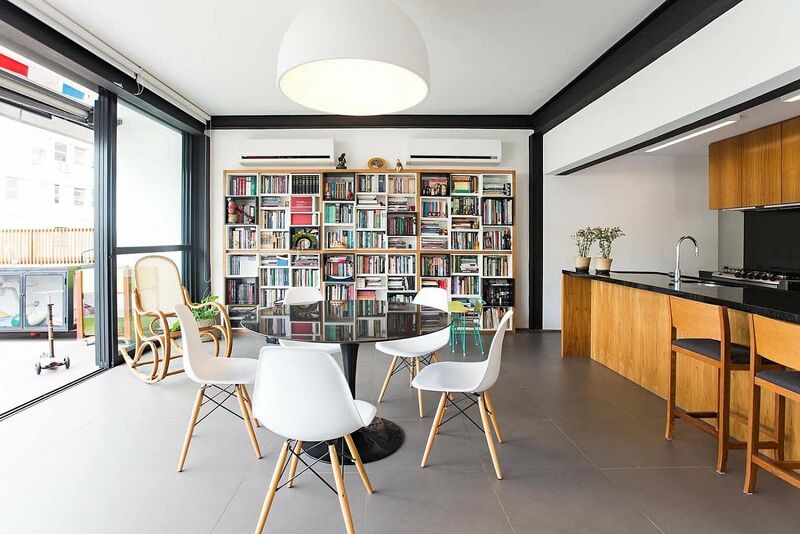 Nestled in a busy neighborhood of Flamengo, Rio de Janeiro, Brazil, this fabulous penthouse was given a brand new makeover by Estúdio Guanabara, driving away its once dark and cluttered vibe. 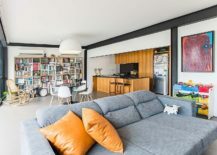 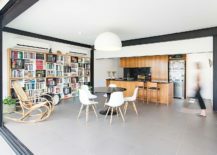 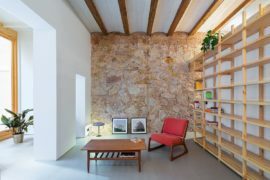 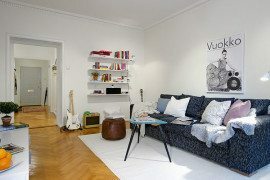 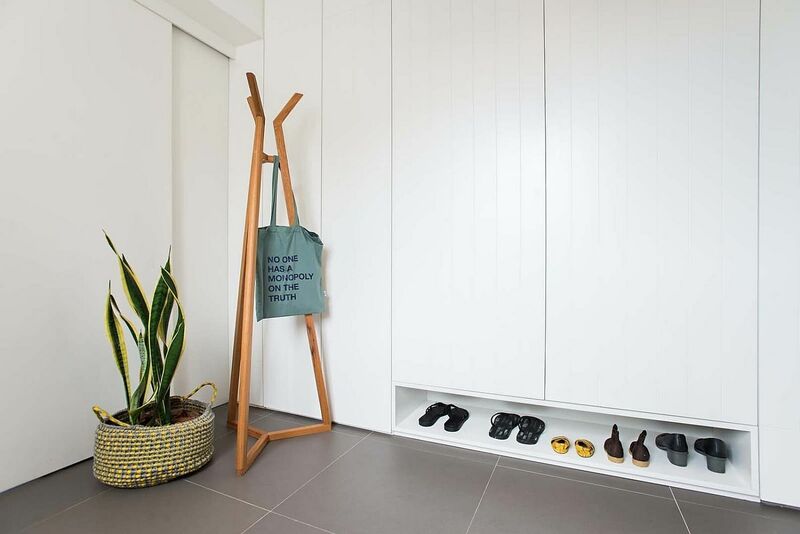 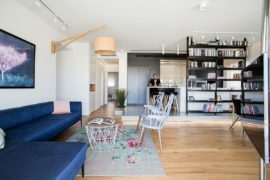 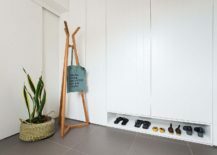 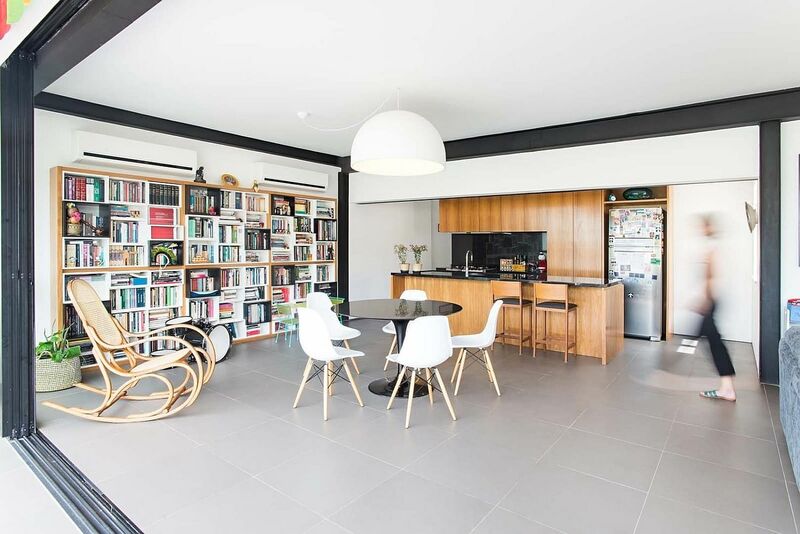 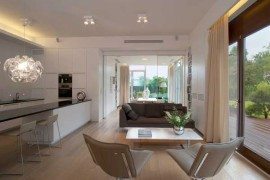 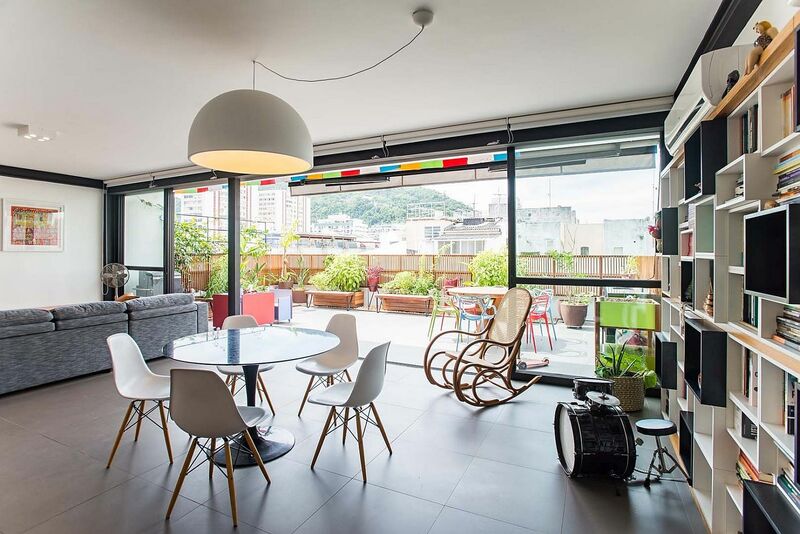 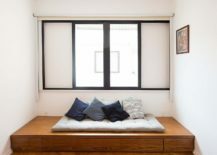 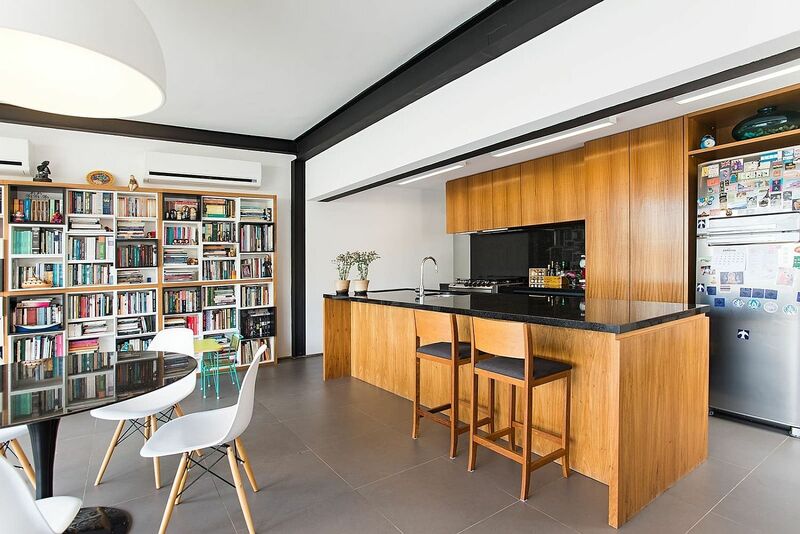 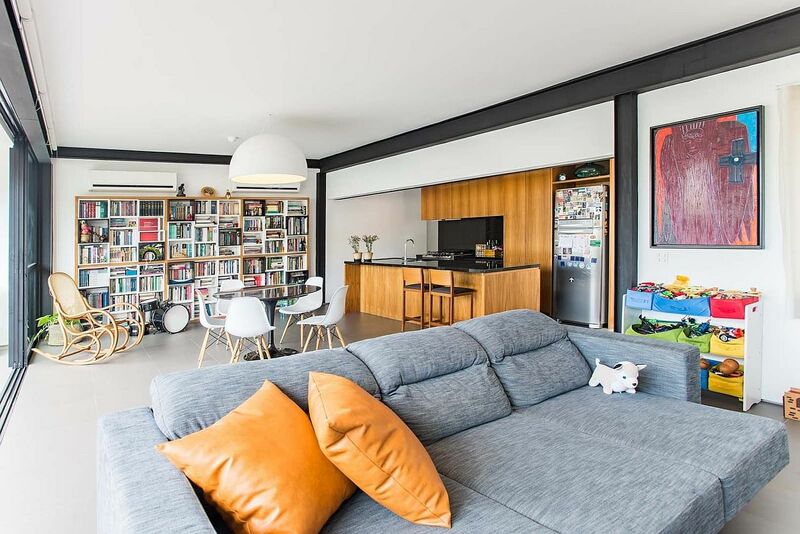 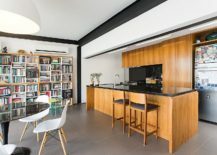 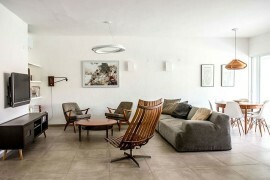 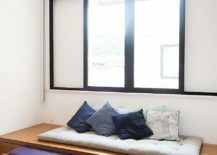 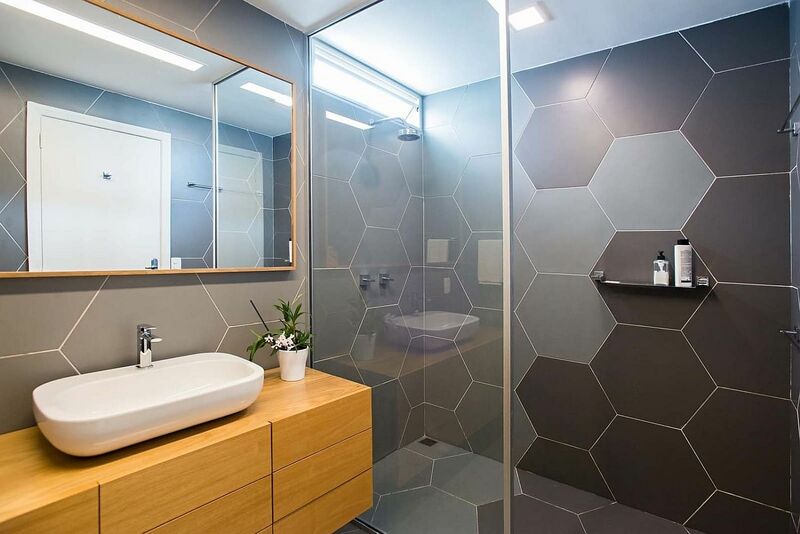 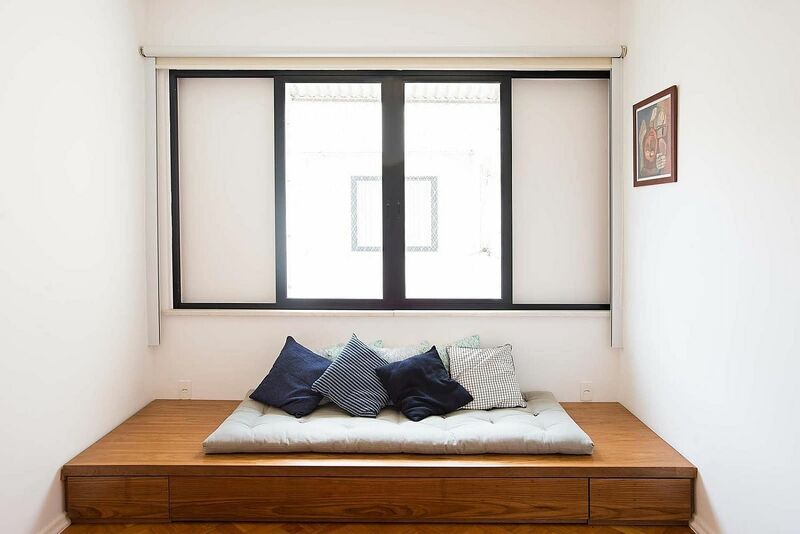 Apartment in Flamengo now has a cheerful, open and light-filled interior that is connected with the spacious and green deck outside. 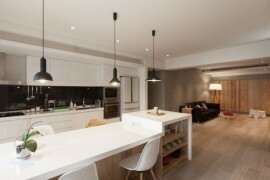 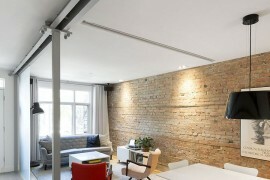 Poorly planned internal partitions inside the apartment were done away with in favor of an open plan living that also includes the kitchen. 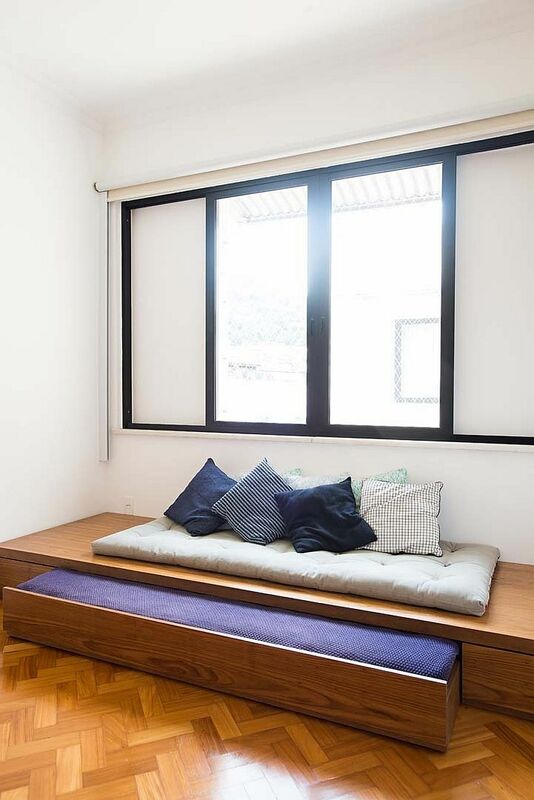 Sliding, stackable glass doors now connect the living space in white with the lovely balcony outside. 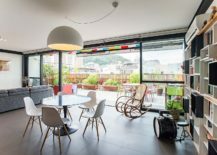 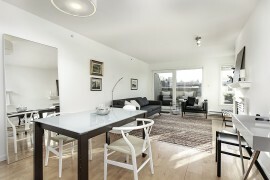 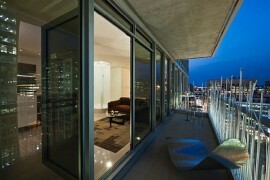 Potted plants and views of the vivacious city beyond no longer seem alien and add color to the neutral interior. 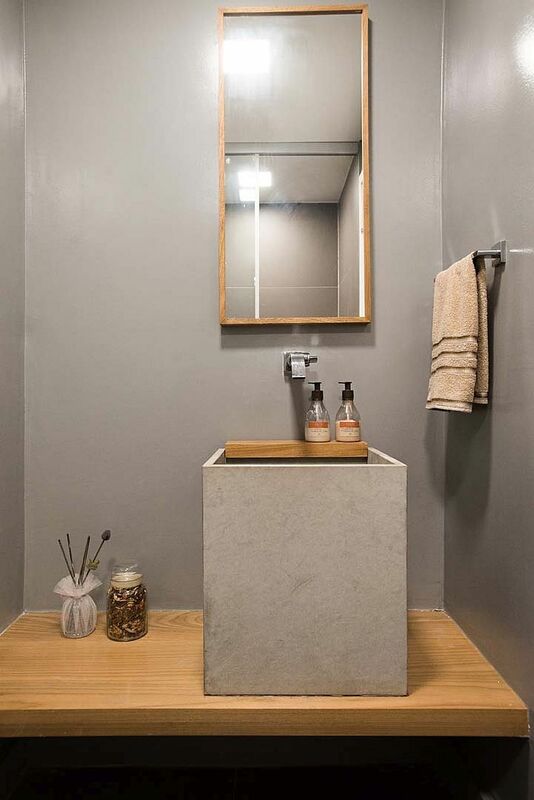 Porcelain tile, metallic surfaces and polished contemporary finishes are balance by the use of wood in the form of a lovely kitchen island and kitchen cabinets that save space as well. 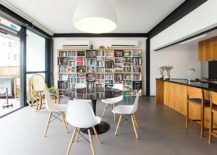 Shelves in white blend in with the living room walls and reduce visual fragmentation while a small dining area illuminated by oversized pendant light completes the attractive and fresh living room.